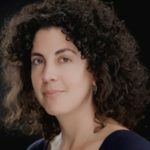 Lia Purpura’s new collection of essays, All the Fierce Tethers, will be published in 2019 with Sarabande Books. Her most recent collection of poems is It Shouldn’t Have Been Beautiful (Viking/Penguin). She is the author of three previous collections of poems (King Baby, Stone Sky Lifting, The Brighter the Veil); three collections of essays (Rough Likeness, On Looking, Increase), and one collection of translations (Poems of Grzegorz Musial: Berliner Tagebuch and Taste of Ash). The recipient of four Pushcart Prizes, she has been awarded fellowships from the Guggenheim Foundation, the NEA, and the Fulbright Foundation (Translation, Warsaw, Poland).